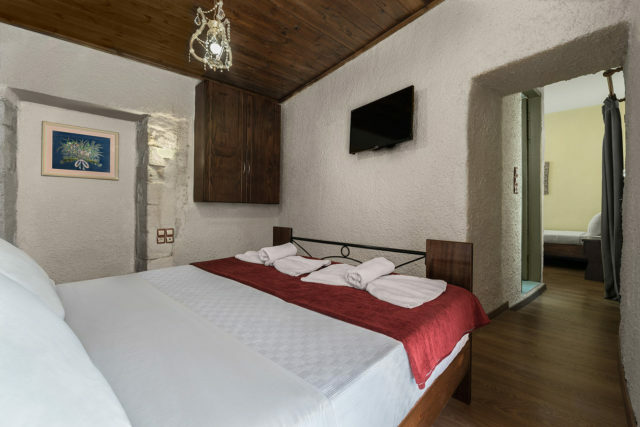 PORTO ANTICO is situated in the centre of the picturesque old Venetian harbor, as well as 5min. 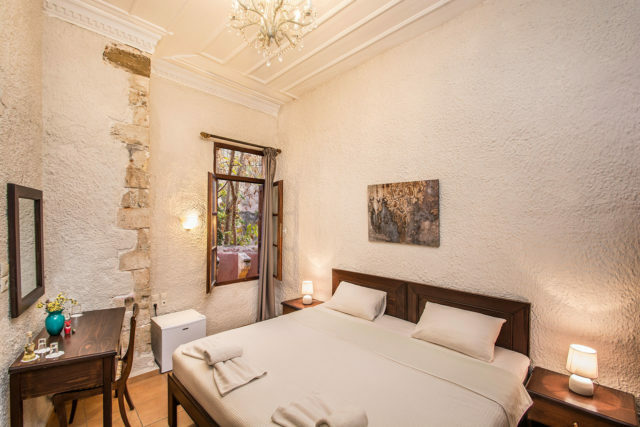 walking distance from the modern centre of Chania town. 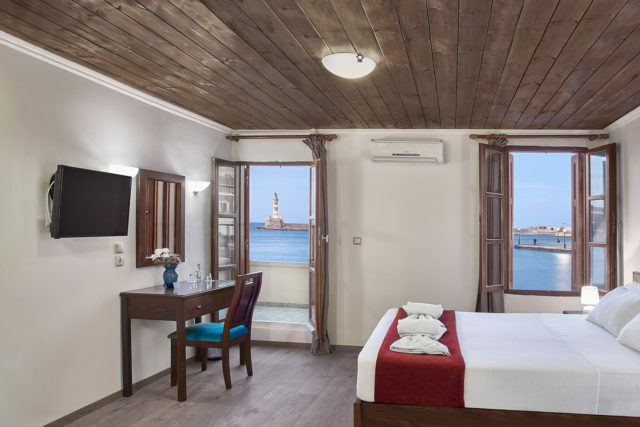 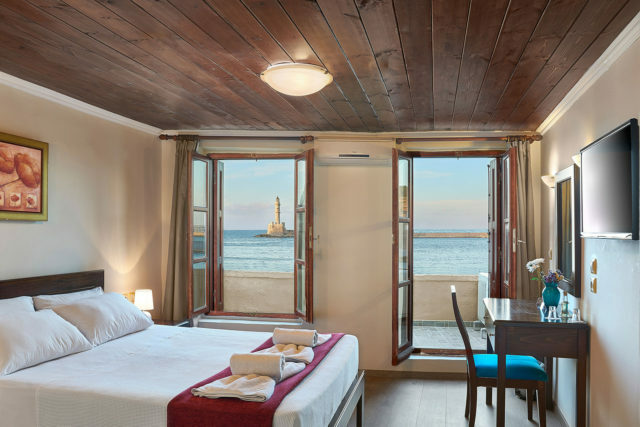 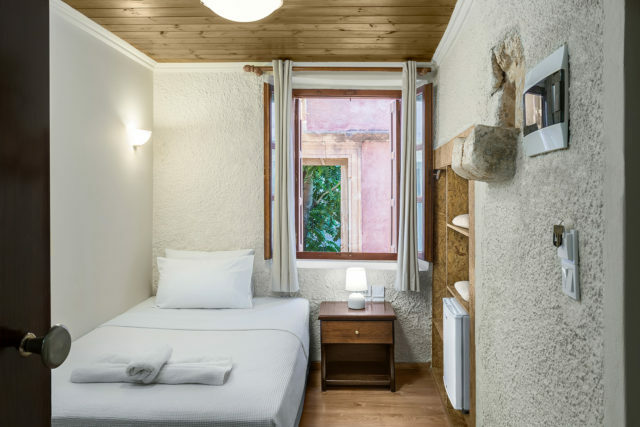 Located in a venetian-style, histοric building, just opposite the Venetian lighthouse, the hotel provides 10 rooms in total with wonderful views of the Venetian harbor or the picturesque old town of Chania. 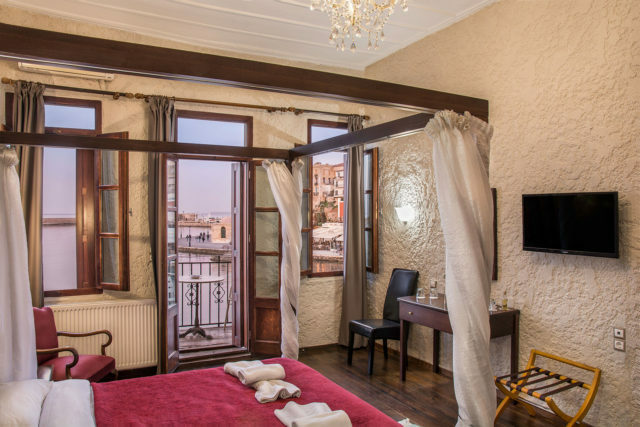 The hotel is recently renovated, retaining the old Venetian style architecture, harmoniously combined with minimal decoration and furnishings. 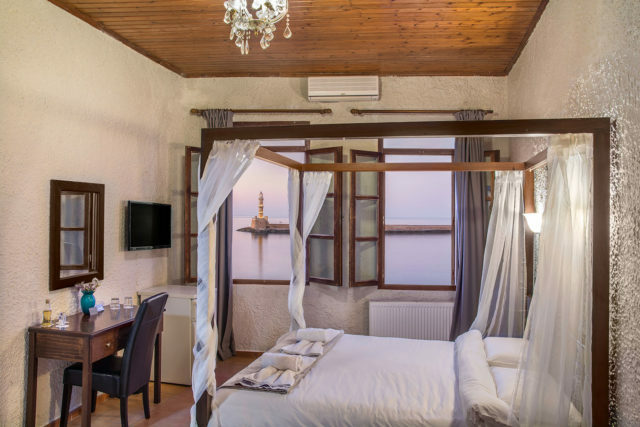 It also provides reception area, sitting room, library and Wi-Fi internet whereas the rooms feature all the necessary amenities. 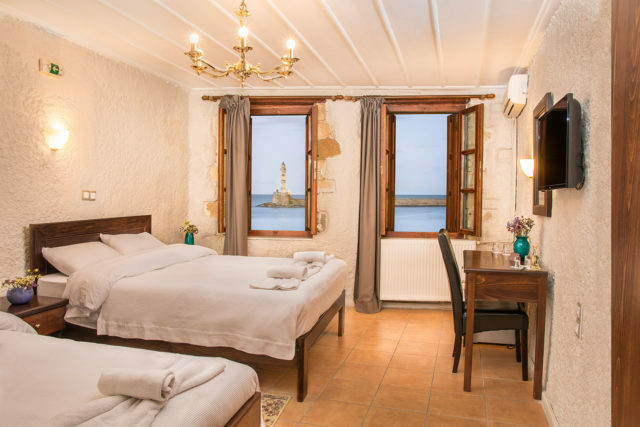 Superior w. Balcony | Seaview.